If you’re a Jeep enthusiast and you’re in the market for a used vehicle in Norman, Oklahoma, Landers Chrysler Dodge Jeep Ram of Norman can help. Landers CDJR of Norman is the place to find the best deals and the best selection of pre-owned Jeeps for those in Norman, Moore, Oklahoma City, Midwest City, El Reno, Chandler, Shawnee, Blanchard, Chickasha and Pauls Valley. Whether you’re looking to buy used or certified pre-owned, the Landers team can get you all set up with the right Jeep for your lifestyle and budget. 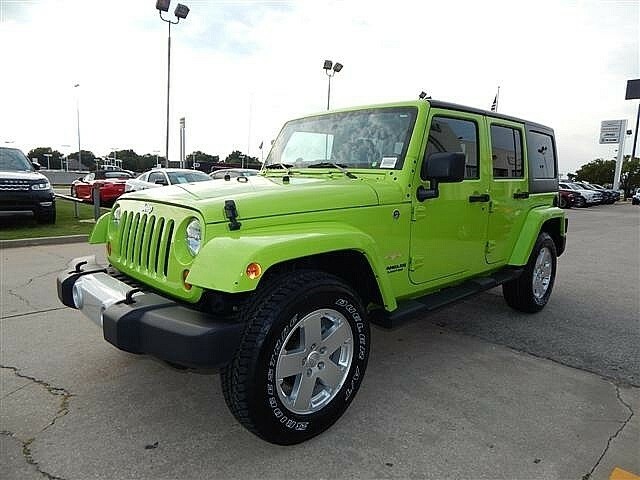 Check out this strikingly fun 2012 Wrangler Unlimited Sahara in hypergreen. This Jeep definitely turns some heads! The green wonder is a one-owner certified pre-owned vehicle with a clean CarFax, so it doesn’t get much better than that. It has a black 3-piece removable hardtop, a freedom panel storage bag, a rear window defroster and rear window wiper and washer. If you’re looking for a hardy vehicle that can get dirty and still dazzle at the same time, this is the Jeep for you. Learn more about this CPO 2012 Jeep Wrangler Unlimited. Take a look at this sleek 2014 4D Sport Utility model Jeep Cherokee Limited. The look of this Cherokee screams “brand new,” but the price tag says otherwise. 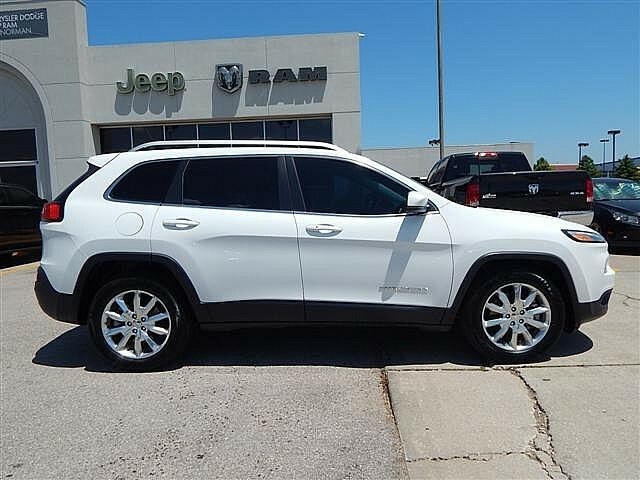 This is a certified pre-owned one-owner car with a clean CarFax, so if you’re looking for a used Cherokee this is a fantastic place to start (and stop) your search. This Jeep has a power front/fixed rear full sunroof and a tank full of gas, so it’s ready to drive off the lot when you are. Learn more about this CPO 2014 Jeep Cherokee Limited. 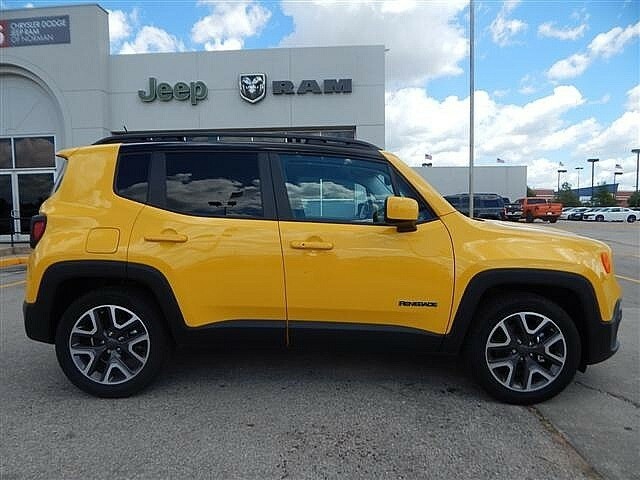 Feast your eyes on this yellow 2016 Sport Utility Jeep Renegade Latitude. Spreading sunshine wherever it goes, this Jeep is one of the most sought-after used vehicles on the market. When you take home the newest member of the Jeep family, you know you won’t be let down. It has illuminated entry, heated door mirrors, fully automatic headlights and remote keyless entry. Plus, you’ll stay connected with the Uconnect system. 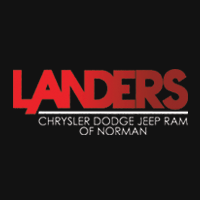 Stop by Landers Chrysler Dodge Jeep Ram in Norman, Oklahoma to look at more used Jeeps, or browse our online inventory right now.